James looks like the Old Testament book of Proverbs dressed in New Testament clothes. It encourages God's people to act like God's people. 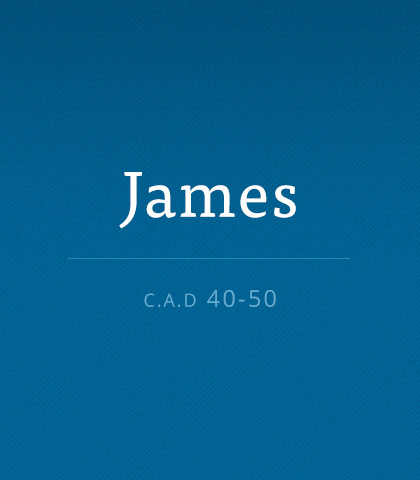 Read more about the book of James. Here are five key lessons kids learn through going through hard times with the sensitive guidance of their parents. True to James 1:2-4, my troubles tested my faith. They brought hardship and hidden tears, but, also true to Scripture, they became opportunities for great joy. Here are several insights I gleaned through my experience. If I am going to lead others I must connect with them. Listening is connecting. Connecting is the key to influencing. Influencing is leading. If I don’t listen then I don’t connect and I won’t lead. Instead he suggests asking ourselves a question when something negative happens: What does this experience make possible? In reality, we all come before the mirrors to do business! We gaze hard in that painfully honest reflection with the purpose of doing something about what we see. But this heaven-bound path we’re on is also a warpath. We are engaged in a fight every single day of our lives. It’s a fight about truth, trusting God, and believing His Word. It’s a fight against lies and deception. Honesty is the quality of being genuine and uncorrupted. And from that core, like the trunk of a tree, it branches three ways. Beyond the Broadcast: What If You Talk Too Much? Be honest—do you talk too much? Do you find yourself saying, “I shouldn’t say anything...” and then spill it out? If these habits sound like yours then you’re like the majority. Verbal restraint is rare.